Over the past several years, there is a new trend developing with students misusing and abusing prescription drugs to obtain status as a perfect student. The pressure to be better than the best is at an all-time high. The surmounting pressure to succeed is shaping form as a prescription drug epidemic on high school and college campuses around the US. The guilty drug in question is Adderall. Adderall is a prescription drug used to treat both Attention Deficit Hyperactivity Disorder, narcolepsy, and a few other ailments. ADHD is a chronic condition that involves difficulty with focused attention, hyperactivity, and impulsiveness. Narcolepsy is a neurological disorder where the brain has issues with controlling the sleep/wake cycles. The drug is also uncommonly used in sports as an athletic performance enhancer and enhancer of cognitive brain functions. Adderall is a combination drug made with a mixture of four stimulant drugs, two of which are common: amphetamines, its most powerful active ingredient, and dextroamphetamine. Amphetamines are a central nervous system stimulant. Contrary to widely held belief, Adderall is phenomenally successful in treating patients who suffer from ADHD or narcolepsy. Shire Pharmaceuticals introduced Adderall in 1996. In 2001, they launched Adderall XR which is the extended-release capsule. The extended-release tablet gives a low but steady dose to the user throughout the day. On college campuses, Adderall has many names such as Pep Pills, Dexies, Christmas Trees, Uppers, and Black Beauty. In 1932, a pharmaceutical company began selling an inhaler to clear up inflammation in nasal passages and the lungs. The inhaler they called, Benzedrine. Amphetamine is the generic name for Benzedrine. Unlike inhalers of today with a controlled metered dose only available by prescription, they sold Benzedrine over the counter, and it was a cotton ball soaked in amphetamine oils. Soon people started to appreciate the stimulant’s effect over its original nose clearing purpose. Users removed the cotton ball from the container and chewed it. During the war, the military gave soldiers Benzedrine to increase alertness and to help keep them awake at night. Millions of pills known as the “alert pill” went out to soldiers across the world, not just the US. Soon users of amphetamines noticed other effects from ingesting the pill, in conjunction with mental alertness, the tablet also suppressed appetite. Women in the US flocked to the pill in hopes to experience extreme weight loss and a loss of appetite. By the 1970s, amphetamine use was out of control. After several prominent deaths from women who overdosed on the substance, the US then classified amphetamine as a Schedule II drug. Its Schedule II ranking listed the drug as having highly addictive qualities. There are two different effects of Adderall. Adderall affects the brain of a person with ADHD differently than it affects a patient with a healthy mind. When appropriately used, Adderall treats deficits in people with disorders, not enhance productivity or performance. Adderall levels the playing field for someone with ADHD. For students who take Adderall and they do not have ADHD, the brain processes the medicine differently. The drug, in this case, has the remarkable potential to become habit-forming. For a healthy student, taking Adderall sends a shot of dopamine to the brain. The quick burst of dopamine will cause a sudden drop in the mood once all the medicine exits out the system. Today, increasingly more college students without ADHD choose to include Adderall as a regular part of their everyday routines. Adderall misuse is the highest among 18-25-year-old young adults. The popularity of Adderall increased when students started using the drug as a study-aid medication. Students realized that taking the drug not only kept them awake all night to study; it kept them focused and alert. At this point, Adderall becomes a superhero. The drug invented a way to burn the midnight oil and still make outstanding grades. Sadly, many of the students believe that the drug makes them smarter and more capable of good grades. Thinking along these lines are reasons the popularity continues to grow amongst college students. The availability of the drug on college campuses presents another problem. Obtaining an Adderall prescription from a doctor requires little effort. Without a prescription, it is as simple as checking on local forums or even classified advertisements online. Usually, someone knows someone that has access to Adderall. School administrators and parents place an unrealistic amount of stress on students to achieve a level of perfection that is virtually unattainable. It’s essential that students understand what their goals are and what they a capable of accomplishing with a good night’s rest. The amphetamines in the Adderall are commonly tied to a high tolerance of use, extreme psychological dependence, and increased social anxiety. Abruptly stopping the use of Adderall has the tendency to produce extreme fatigue and mental depression. Watching a friend or loved one struggle with an Adderall addiction is challenging. The student may suffer from racing thoughts, insomnia, or severe mood swings. It is vital to remain calm and understanding to someone struggling with an addition to this Schedule II drug. Since there are withdrawal symptoms associated with ceasing the use of this drug, many users struggle to walk away from it. There are treatment options available for those ready to end the use of Adderall permanently. Contacting the National Drug Institute on Drug Abuse provides pertinent information into the recovery services available. Commonly, detox occurs on-site at a facility. The treatment involves psychotherapy and medication-assisted treatment to ease the symptoms of withdrawal. Therapy after rehab is optional as inpatient or outpatient. Once treatment begins, it’s important to put a plan in place for aftercare. Considering options like group therapy or 12-step programs helps with continued success to prevent a relapse of Adderall. Also teaming up with a mentor helps with accountability. 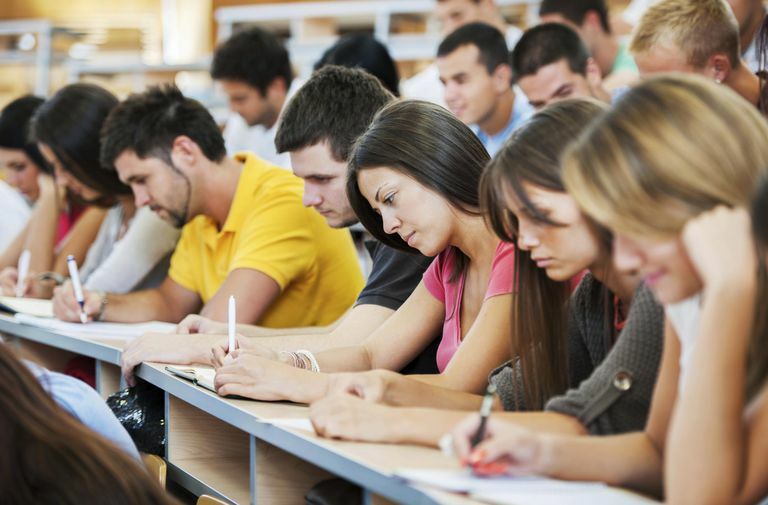 Adderall’s massive influx into the hands of today’s students is cause for concern. The surmounting burden to succeed without failing is creating the opposite desired effect on the generation of students today. Instead of producing creative ways to study and learn, many students are choosing a dangerous approach to reach the top.